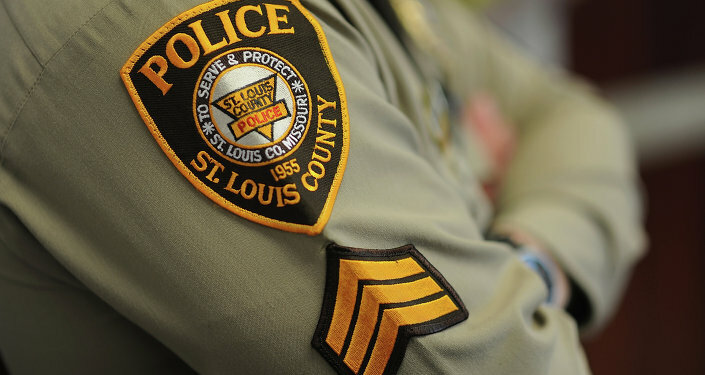 A decision to acquit former St. Louis police officer Jason Stockey of murdering a black man triggered riots which resulted in two police officers being hospitalized with injuries sustained from bricks that were thrown at them. WASHINGTON (Sputnik) — Hundreds poured into the streets of St. Louis on Friday following the controversial not-guilty verdict in a racially charged police shooting case. Earlier on Friday, the St. Louis Metropolitan Police Department (SLMPD) reported that the demonstrations have been mostly peaceful with the exception of some tense moments when some protesters became destructive, throwing water bottles and rocks. National Guard troops were placed on standby. A total of 13 arrests have been made during the protests and four officers were assaulted, police added. Most protesters started to drift away when a smaller group of agitators headed to the neighbourhood near the St. Louis mayor's house and the crowd began to grow again. After rioters had smashed the window at Mayor Lyda Krewson's home, police had to respond with force, using tear gas to disperse the crowd. Later, the media reported that two policemen were seriously injured and had been hospitalized. "A total of 8 officers have sustained injuries throughout the day," the St. Louis Metropolitan Police Department tweeted. Hundreds of people were protesting in St. Louis after a judge found former St. Louis police officer Jason Stockey not guilty after he shot 24-year-old Anthony Lamar Smith, a black man, five times following a high-speed chase. He was charged with first-degree murder. Prosecutors accuse Stockey of planting a gun on Smith to justify the shooting.